People might live until 80 or 90, but Amma tells us that they will learn the most important lessons in life before the age of 10. Amrita SeRVe is working to ensure that children in all our villages begin to receive quality education. Our goals are to strengthen village schools, achieve zero drop-out rates, and provide opportunities for higher education. 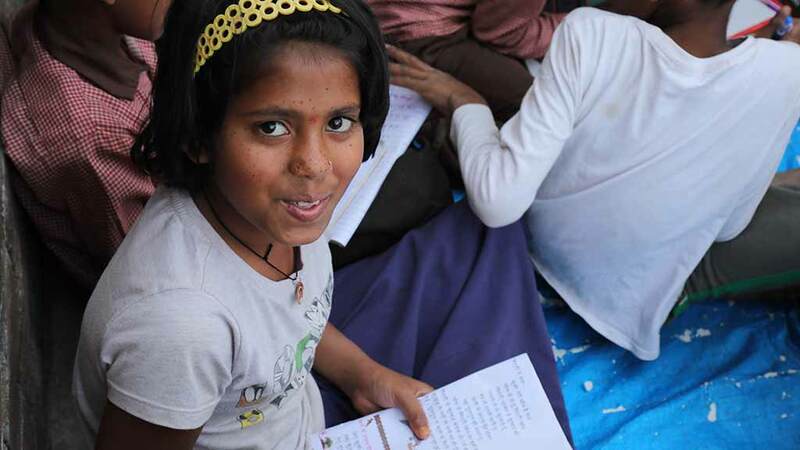 In 2014, UNESCO reported that 11.9 million children age 6-13 are out of school in India. This is 6.4% of primary school age children and 5.7% of lower secondary school age children. Our focus is to introduce a holistic, value-based curriculum that includes project-based learning and even nature activities. When it comes to economic support for the education of poor children, Vidyamritam Scholarships are currently being availed by more than 50,000 students nationwide. Children in our villages are learning important lessons for life through the use of modern technology. Amma teaches that the real goal of education is not to create people who can understand only the language of machines. Children in our villages are learning important lessons for life through the use of modern technology. One of the first crucial tasks is to provide after school tutouring and, in order to do this, we are making use of tablet-based learning programmes. Amrita CREATE is leading development of this work for both school studies and adult education programs through the Amrita Rural India Tablet Program (RITE) Project. Generating awareness among the community through children and their guardians is a major thrust of CREATE’s work in the after school education centres. Awareness topics include health, sanitation, gender equality, nutrition and delayed-age marriage for adolescent girls, substance abuse, and human trafficking. Next comes upgrading village schools to Standard XII. In addition, we are offering free teaching support in villages to ensure that students remain in school. We are also conducting intensive bridge camps to help dropouts resume school, providing coaching support to students who want to enroll for higher education, and initiating classes for adult literacy. As per Amma’s suggestion, Amrita University is organising Live-in-Labs rural internships for students from Amrita University. Internships are also being organised for students from international universities.